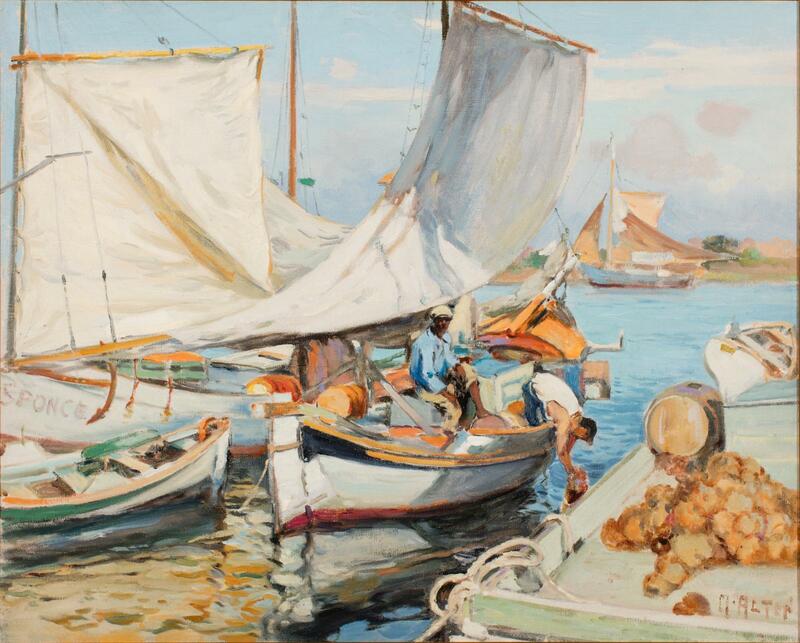 Alten traveled to Tarpon Springs, Florida in the summer of 1935 to paint Greek sponge fishermen with their boats. Alten exhibited these works in Detroit to much praise in the fall of 1935. Three sailboats are pushed together. In the one on the right a man is bending over toward the water.